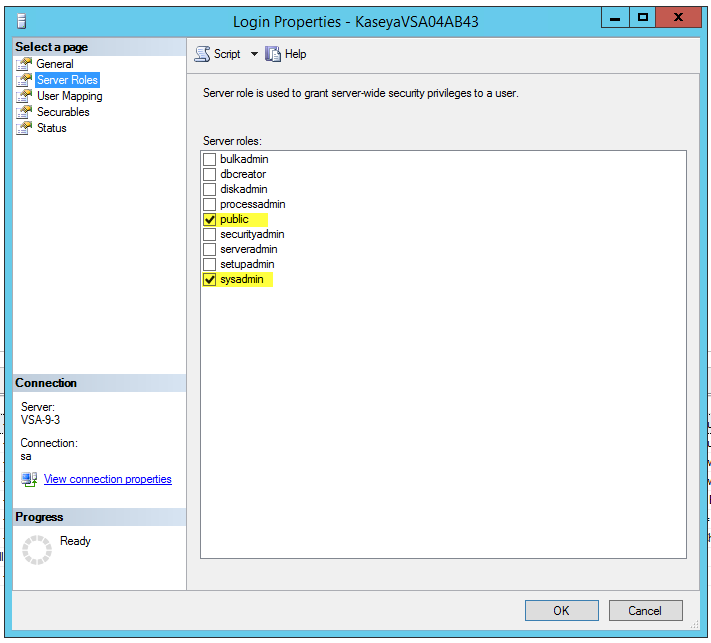 The server principal 'kaseyaVSAXXX' is not able to access the database "kapps"
Cause: The database "kapps" does not have the correct Server Roles to complete this action. 6. Add db_owner and public to the affected username 'kaseyaVSAXXX'. 7. Confirm that the issue gets cleared up in the UI. ITGlue Icon Missing from the System Module.